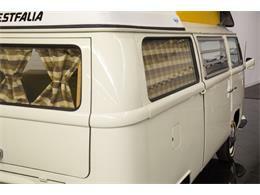 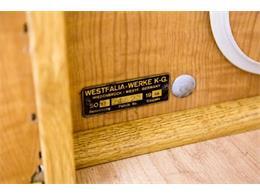 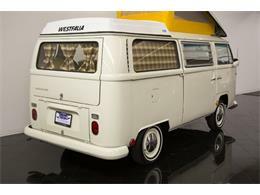 Wonderfully restored Westfalia Campmobile with only 500 miles on the rebuilt drivetrain! 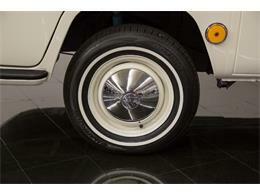 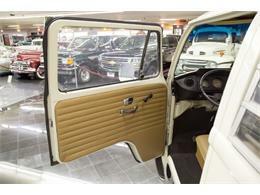 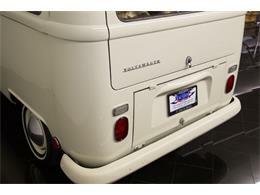 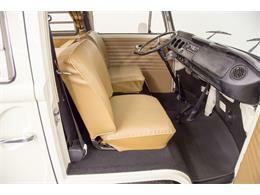 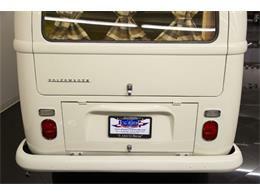 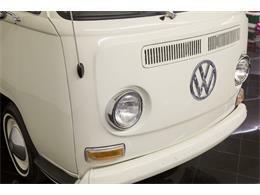 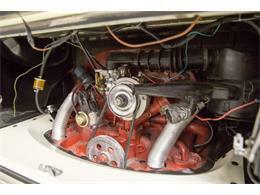 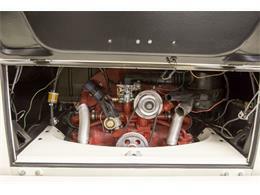 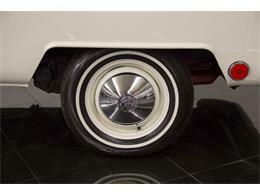 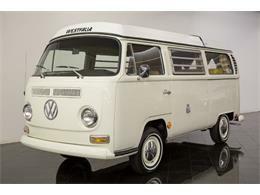 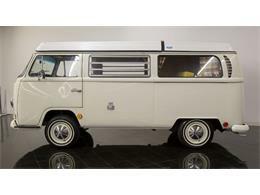 Fully restored inside and out in original form including factory color of Pearl White! 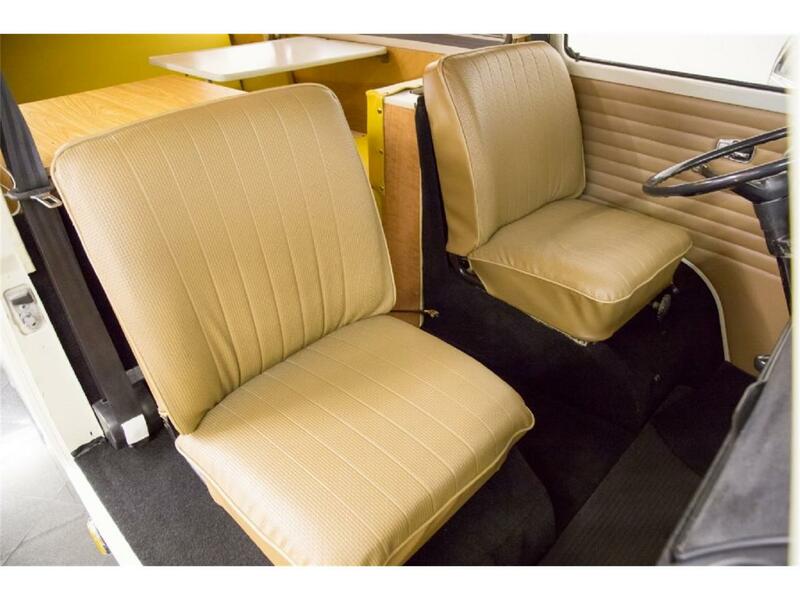 A great driver, show piece, and usable camper! 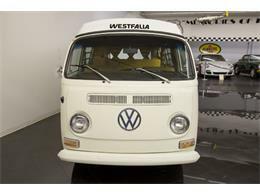 Rare to find 1968 model! 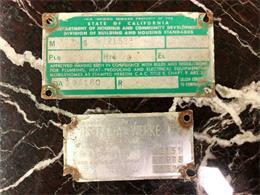 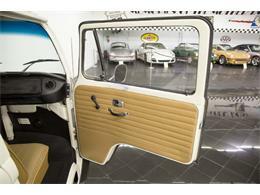 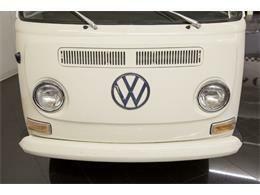 Volkswagen has always been well attributed to utilitarian design and style. 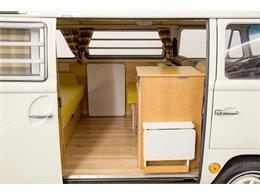 Although, never short of a quality build, the options were generally sparse. 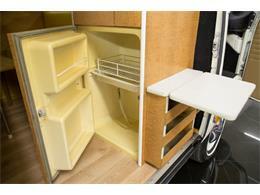 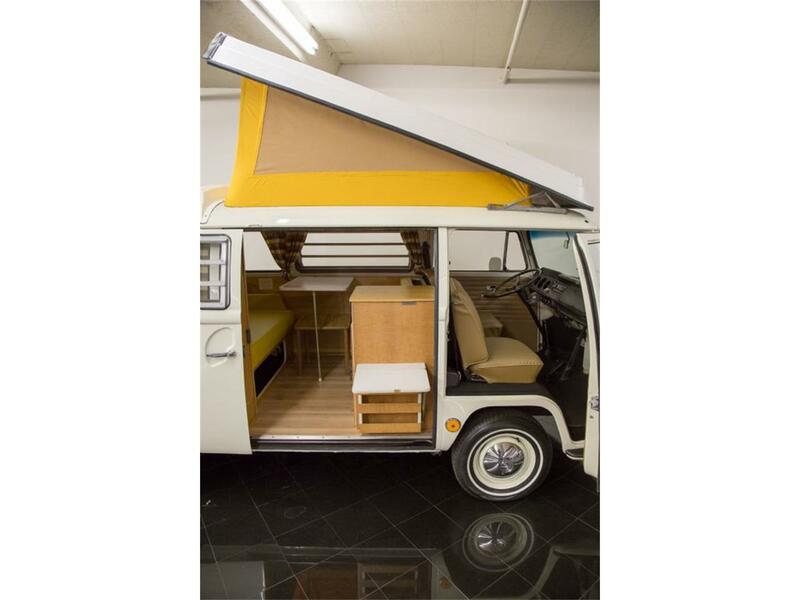 When extra space was needed, the Type 2 was a perfect solution! 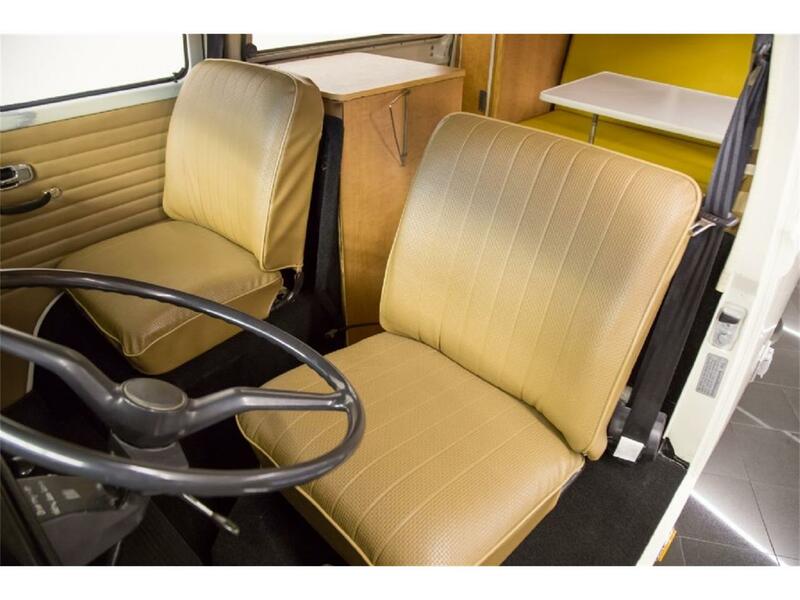 Built for hauling people, hauling company goods, or as a mobile camper, you could literally find a Type 2 model that suited just about any application. 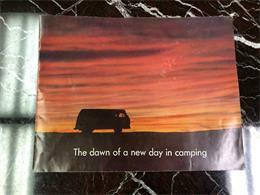 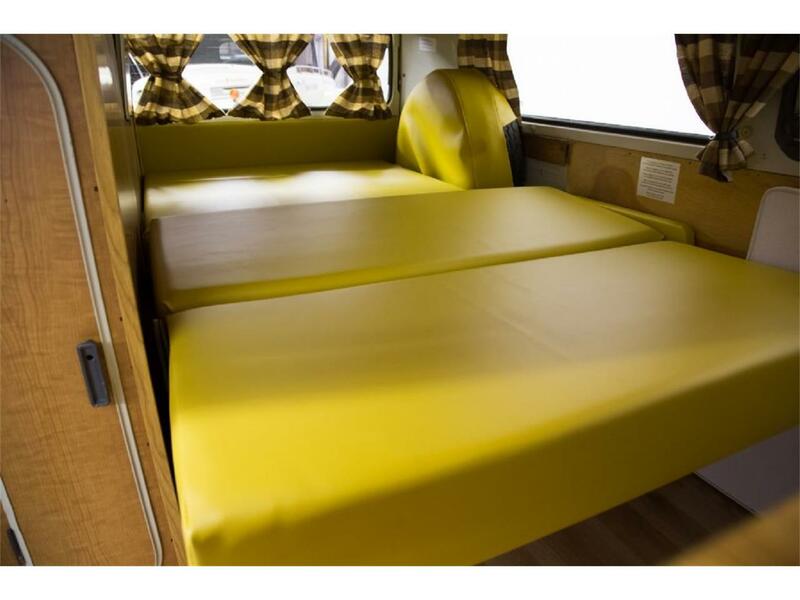 The camper became an easy solution of USA buyers looking for mobile access to travel the country. 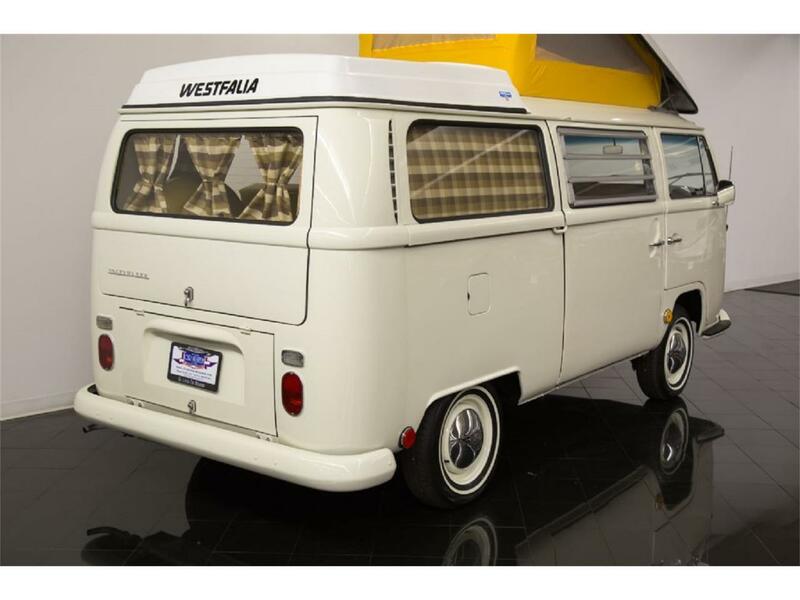 Built by Westfalia-Werke beginning in the early 1950s, today represent a unique line of automobile heavily sought by consumers and collectors alike today. 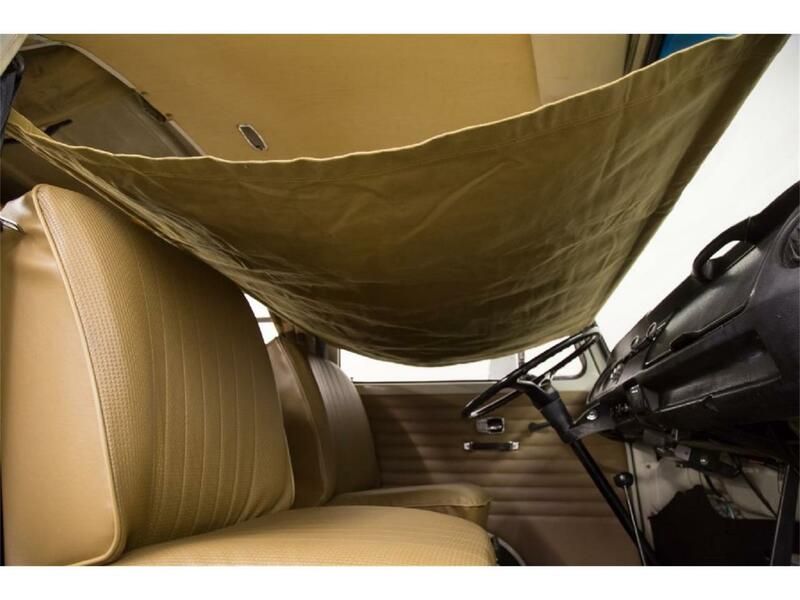 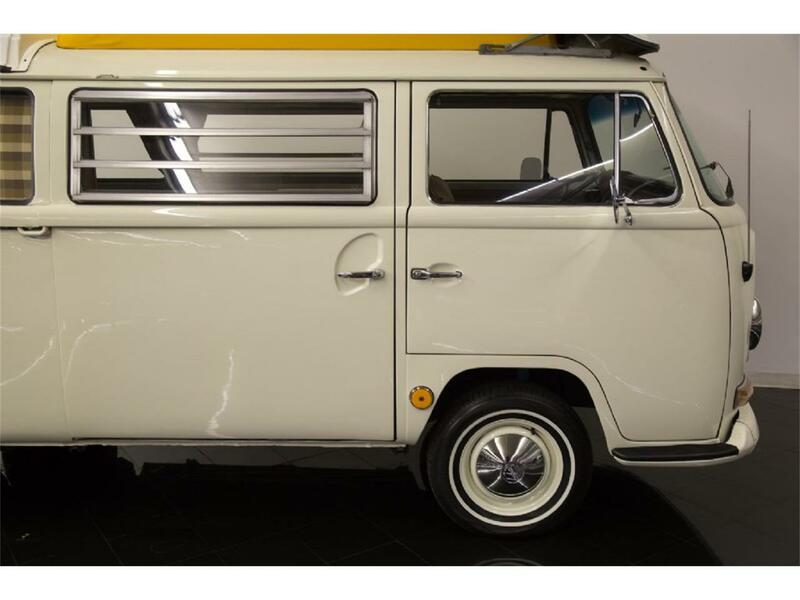 In 1968, several modification allowed for much needed updating that included a full front windshield, affectionately known as a bay window, along with redesigned rear end with half-shaft axles for better suspension travel & traction in any condition. 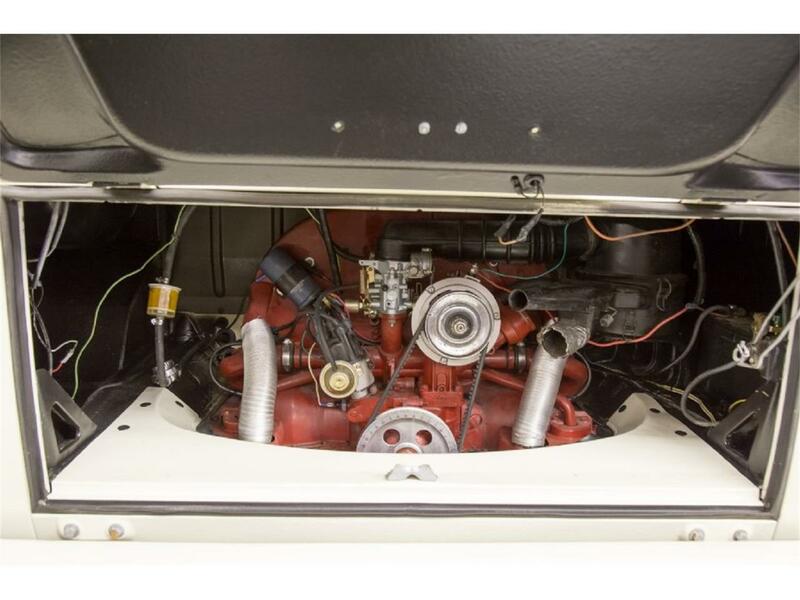 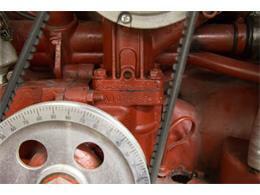 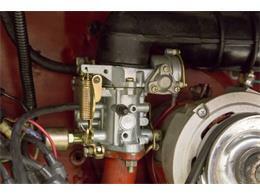 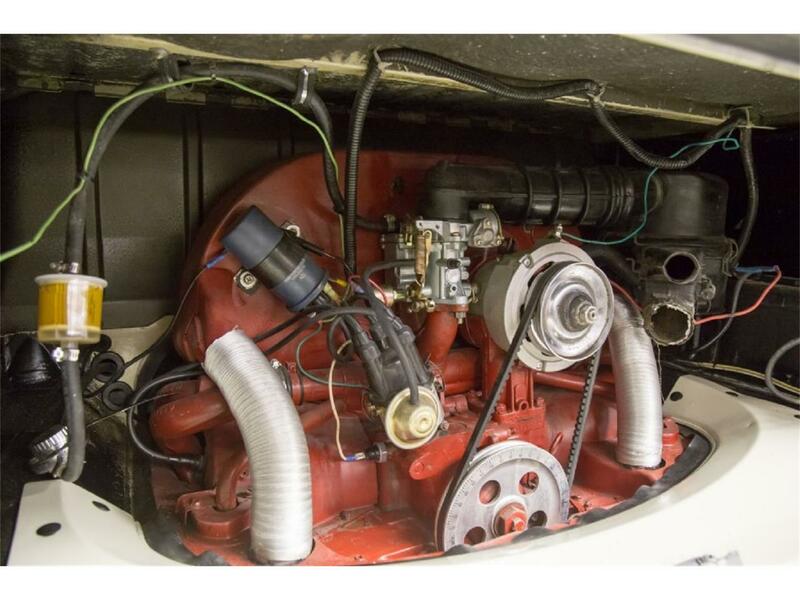 A new 1600 cc engine offered more power, and 12-volt electrics were now standard. The body was enlarged slightly to be wider and longer bringing more interior cabin space, along with better road manners! We find these examples to be the most comfortable to drive, while still holding onto the classic style of earlier models! 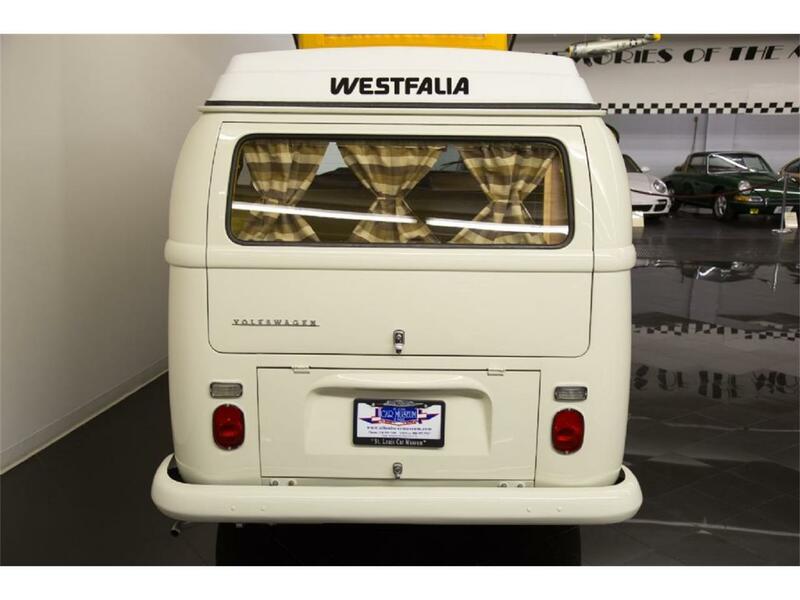 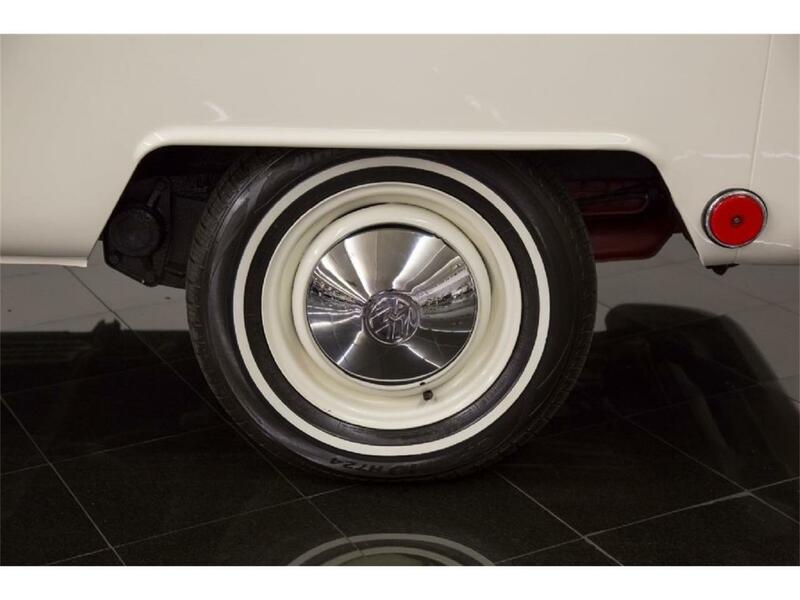 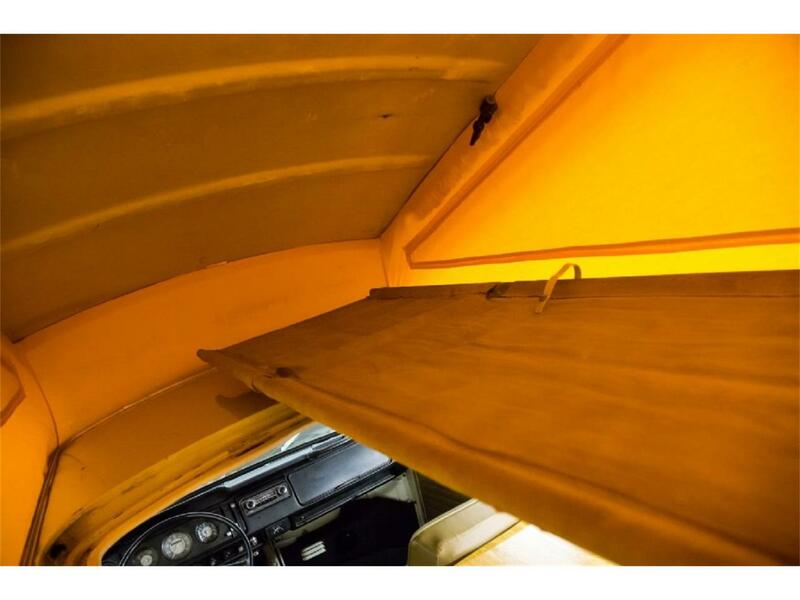 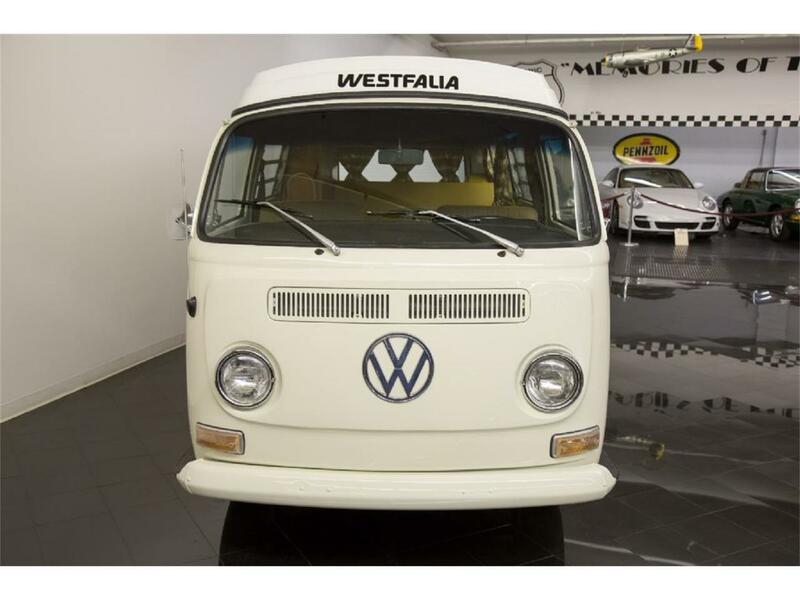 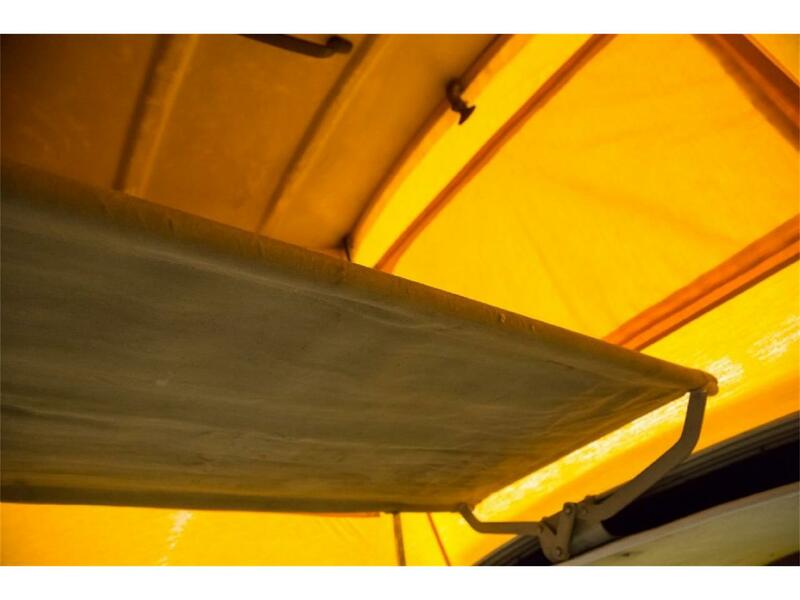 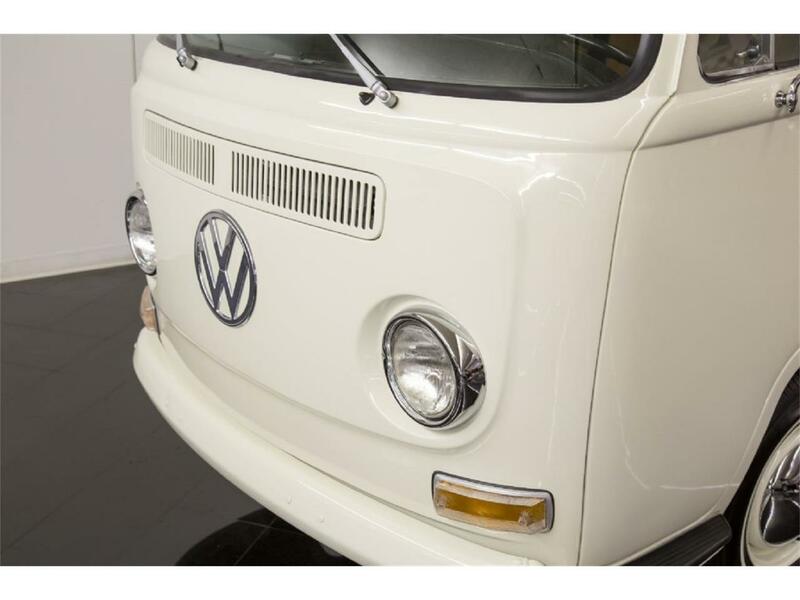 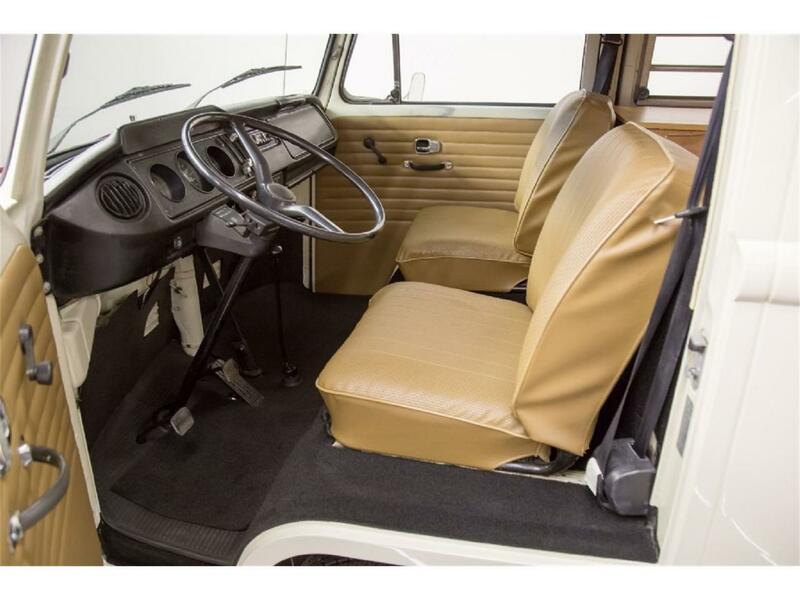 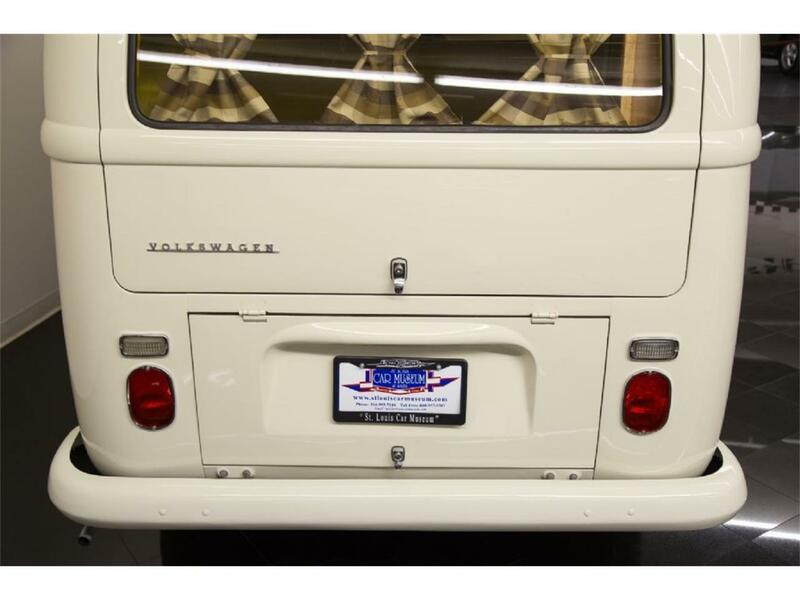 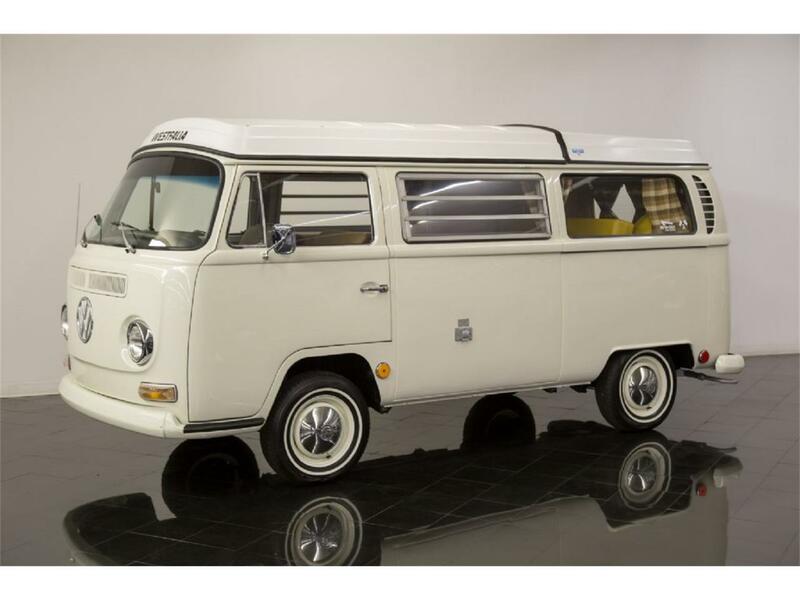 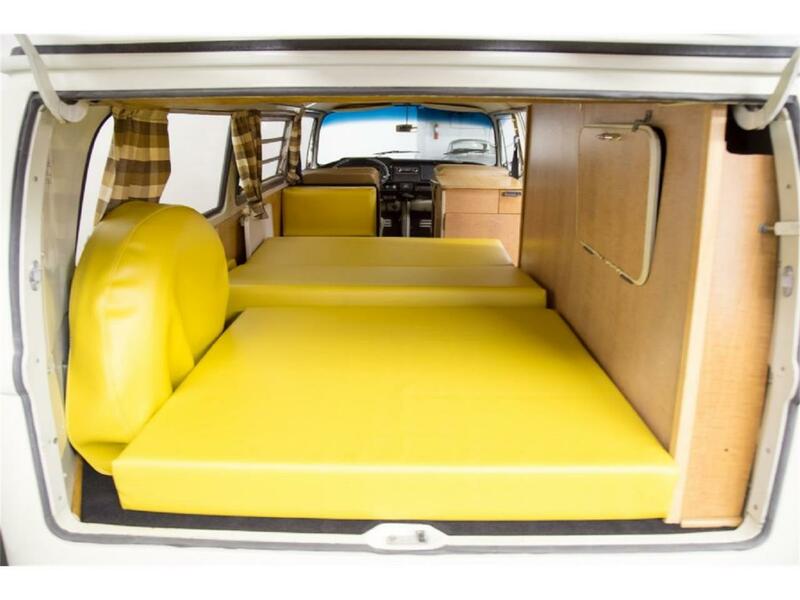 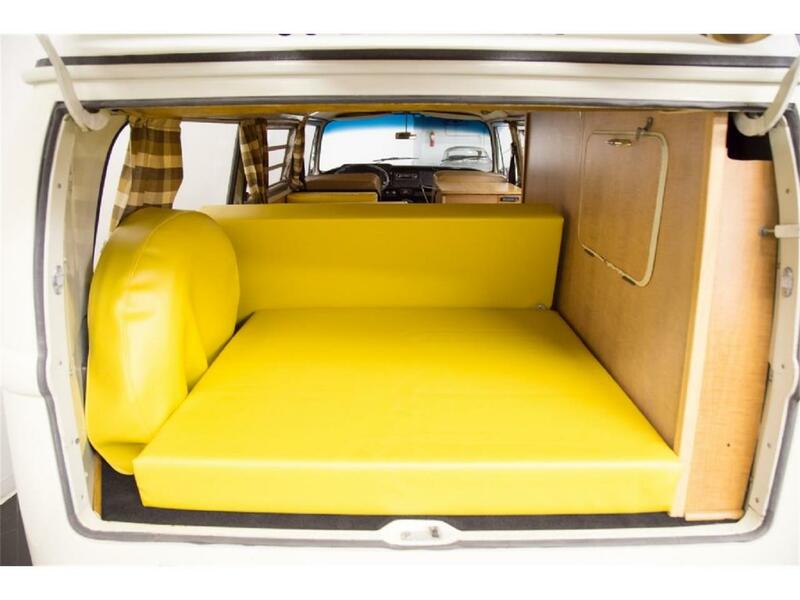 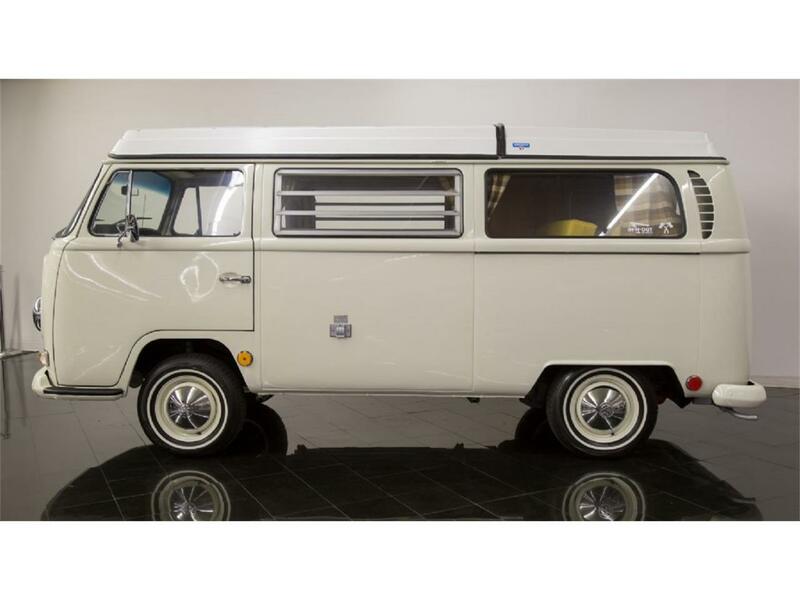 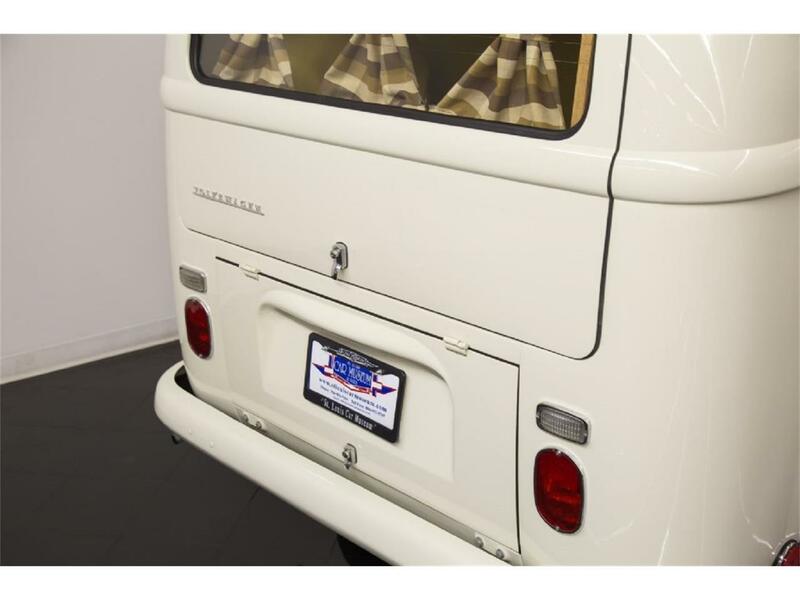 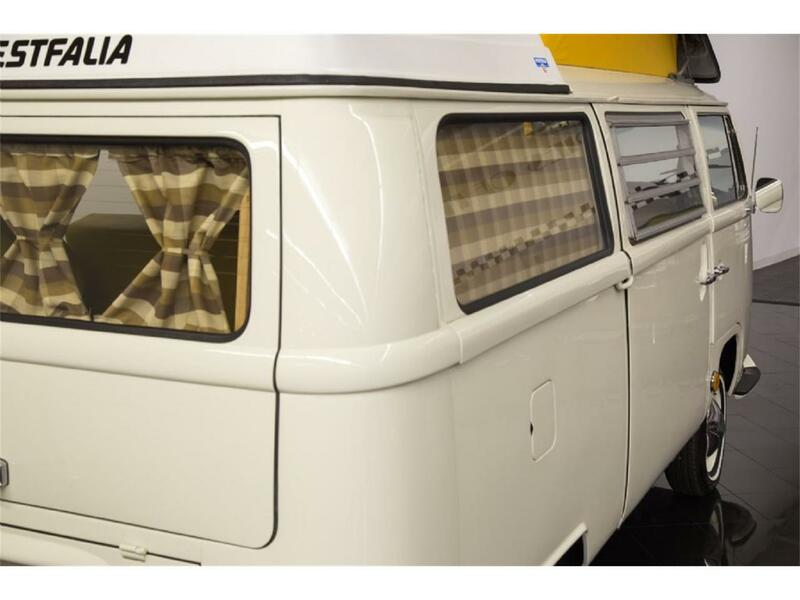 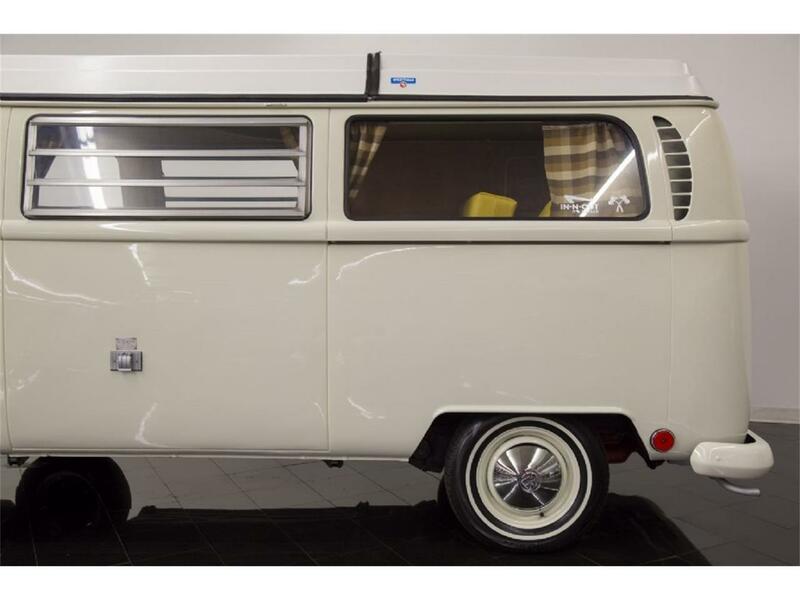 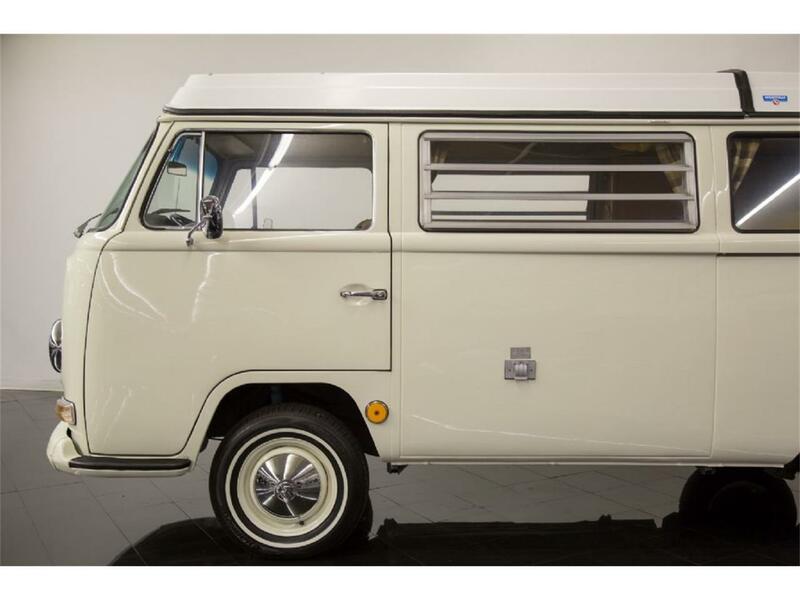 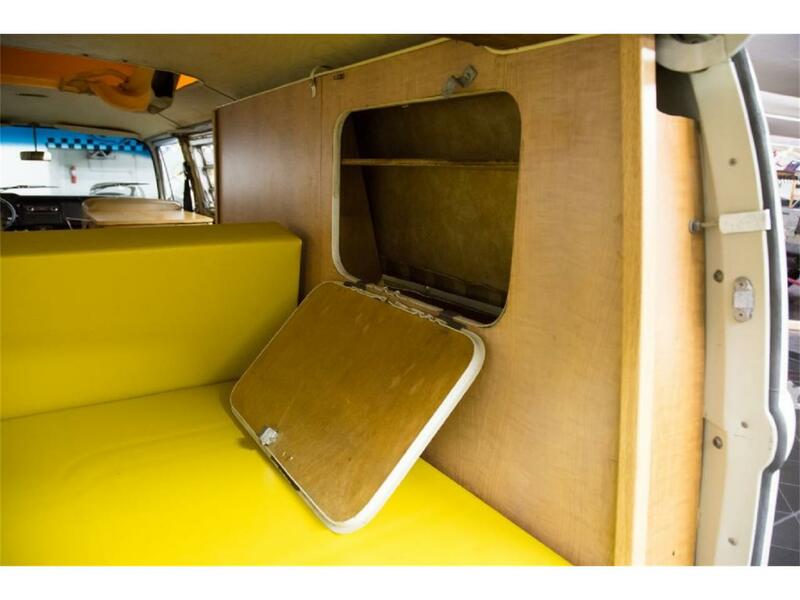 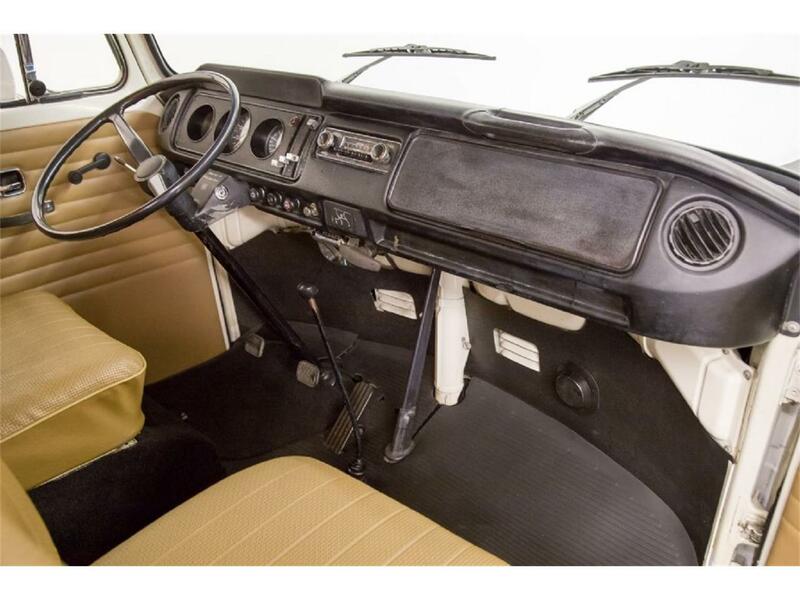 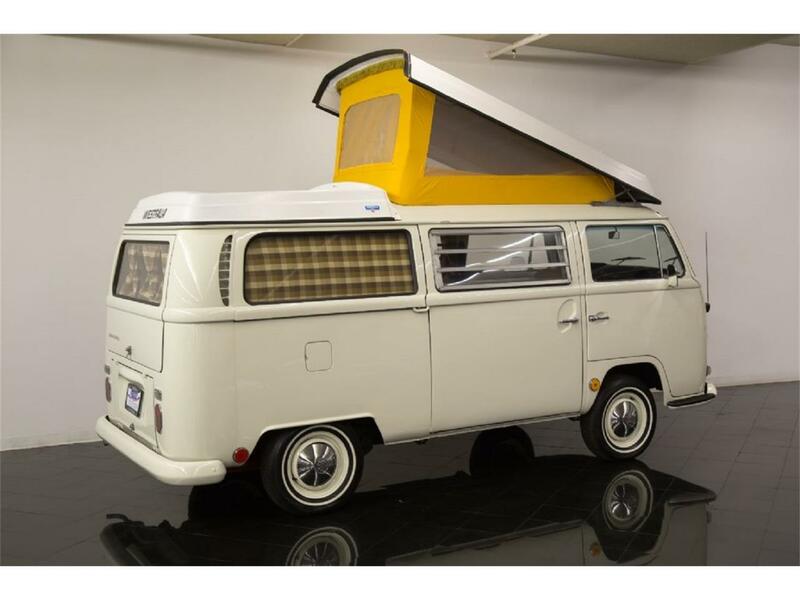 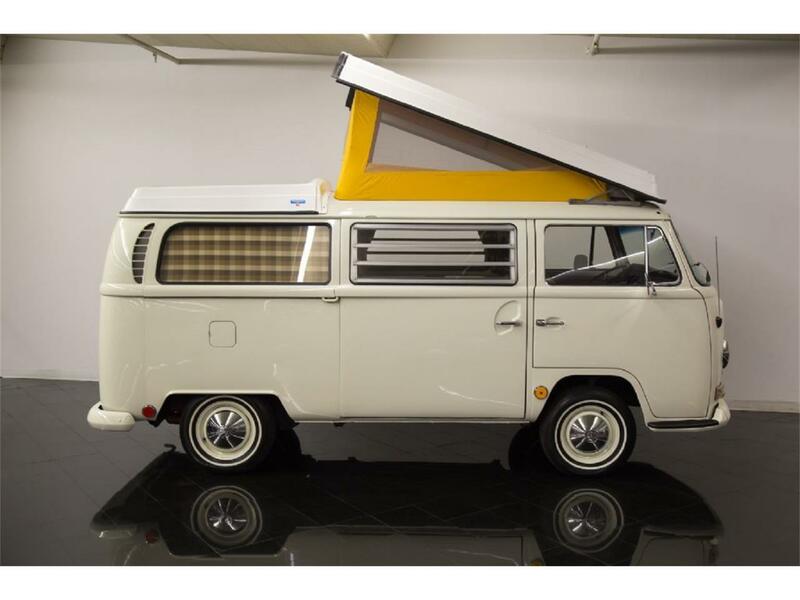 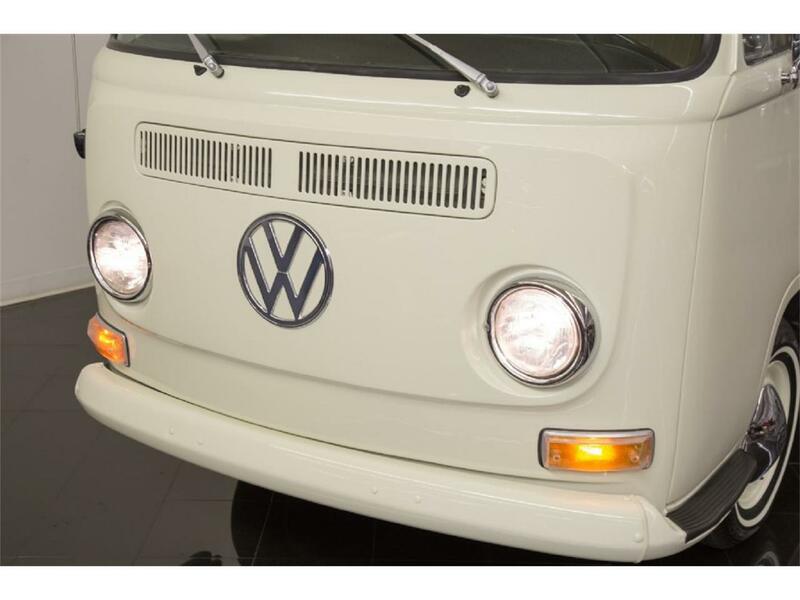 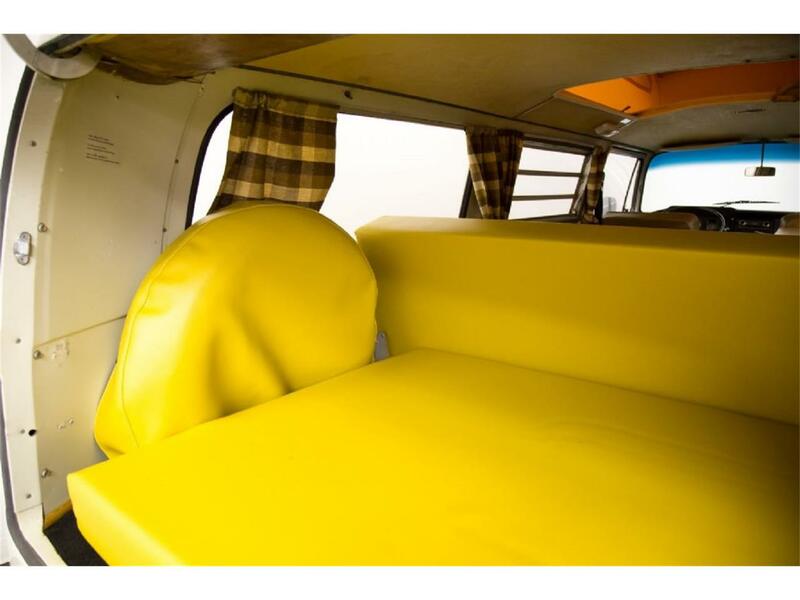 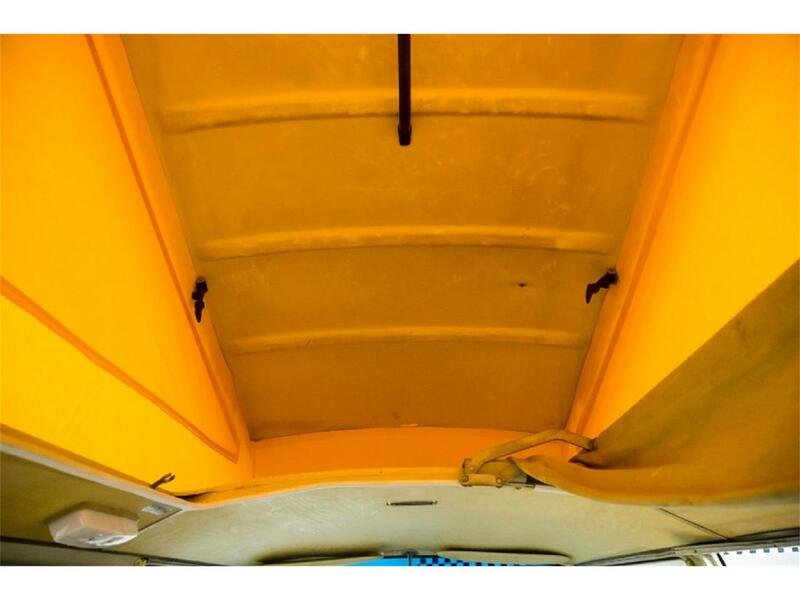 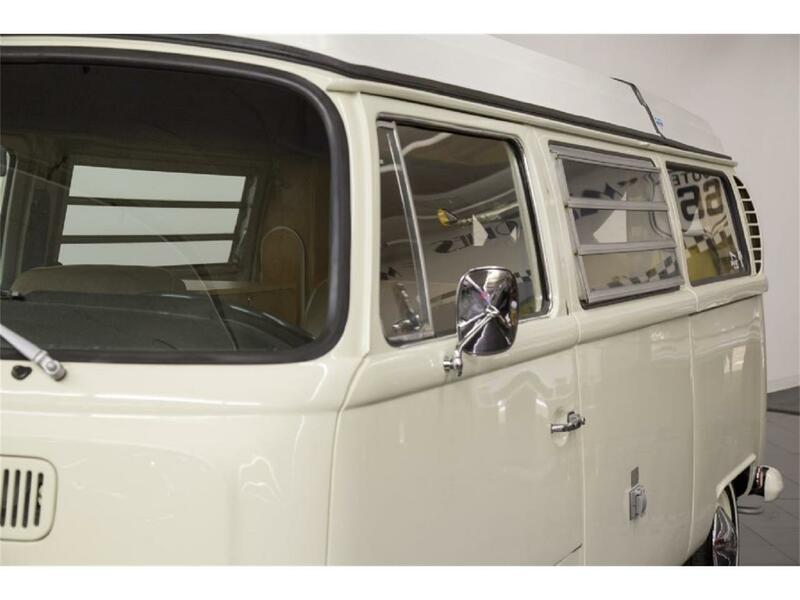 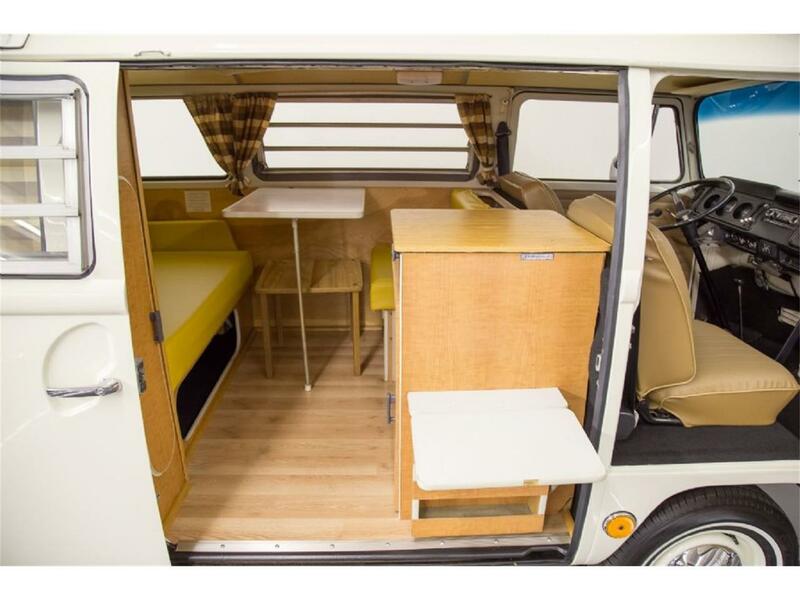 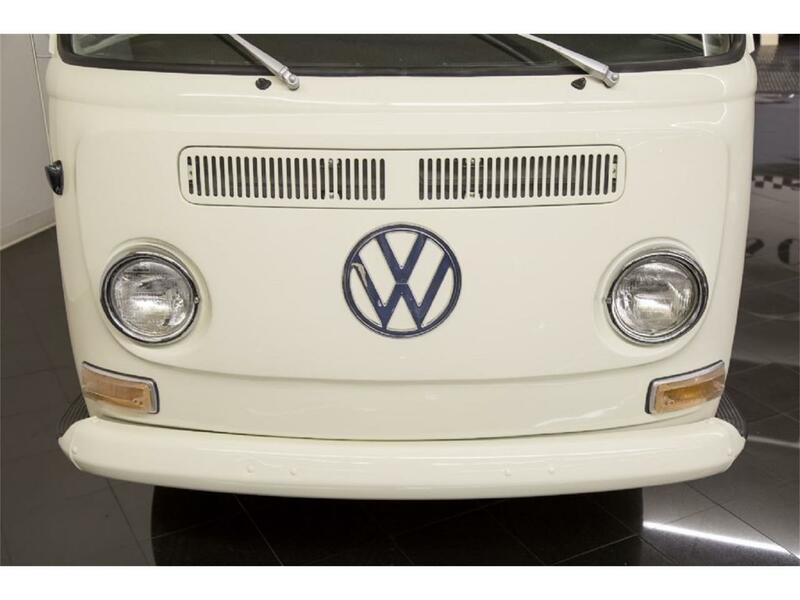 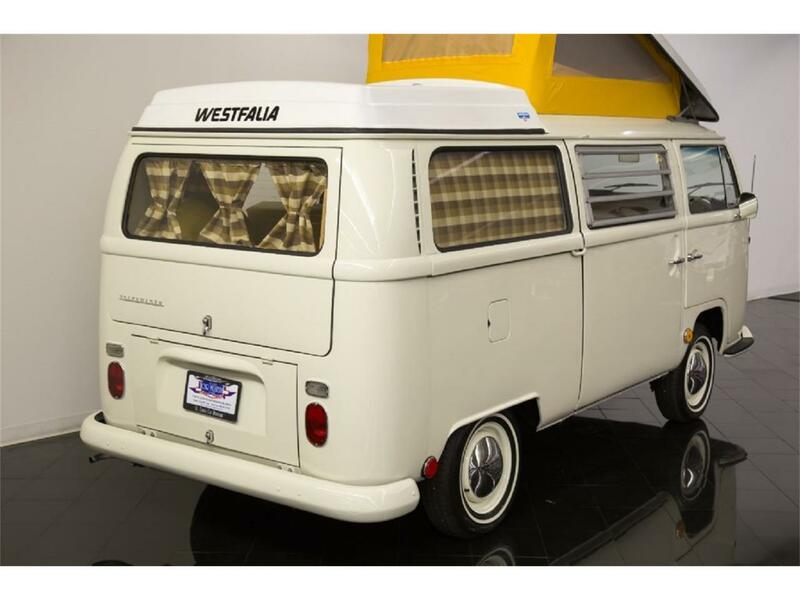 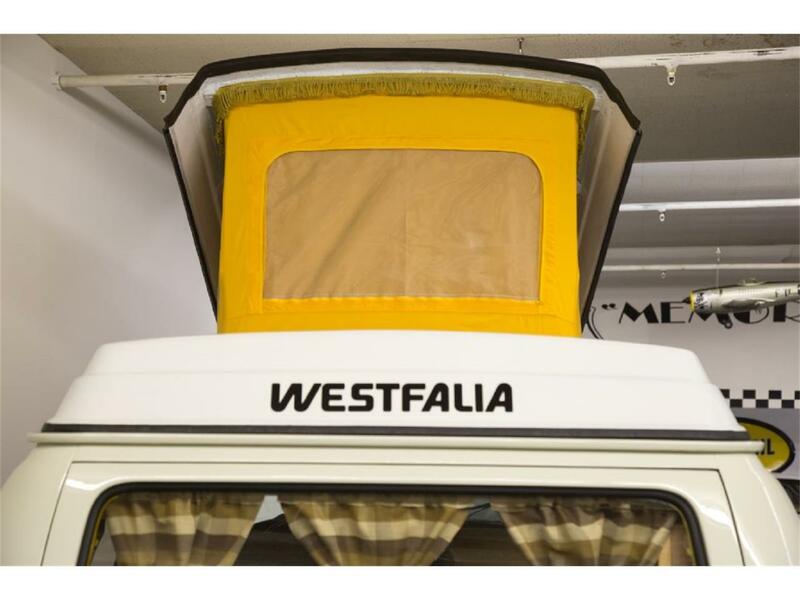 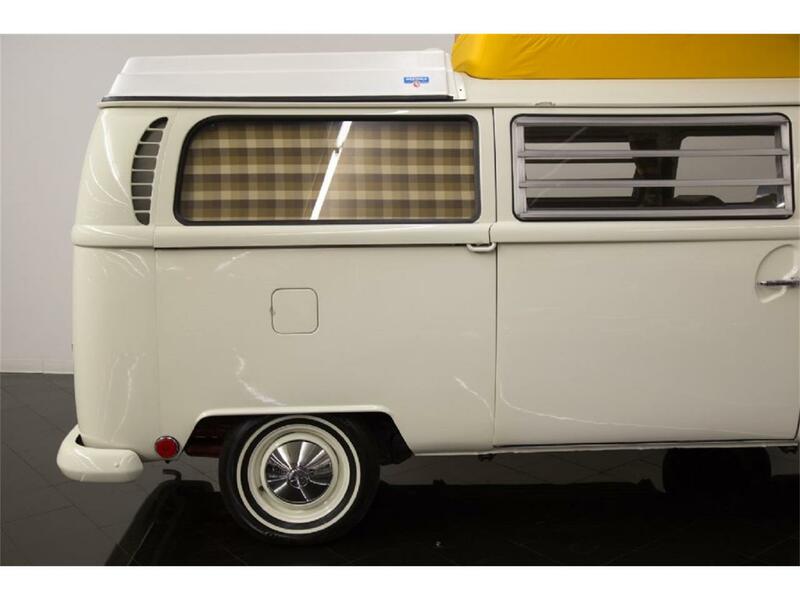 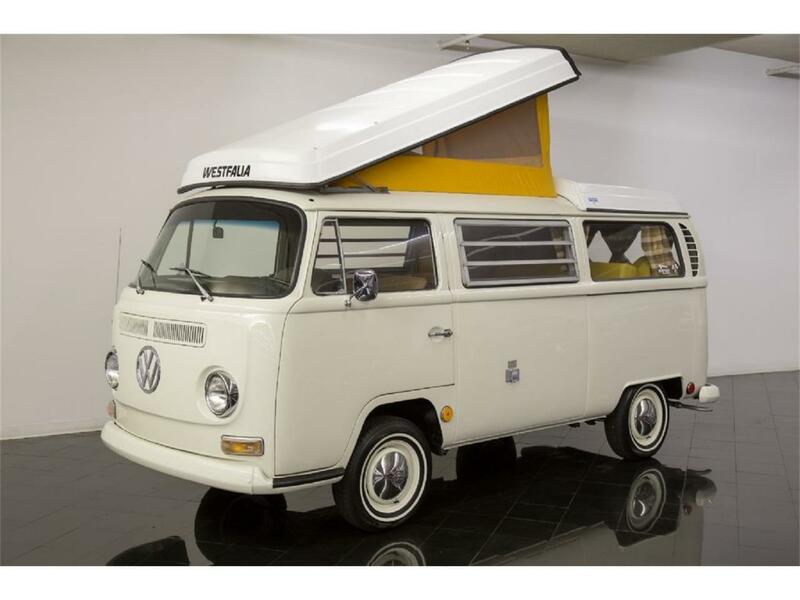 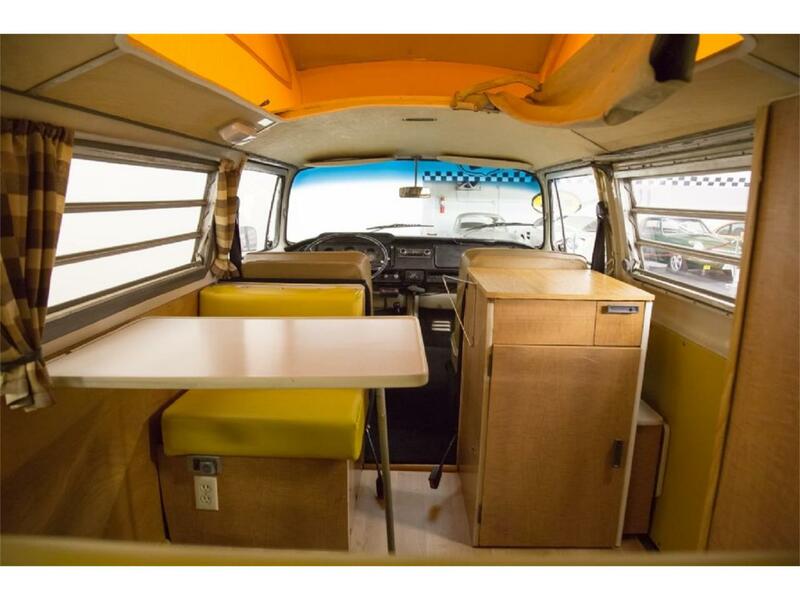 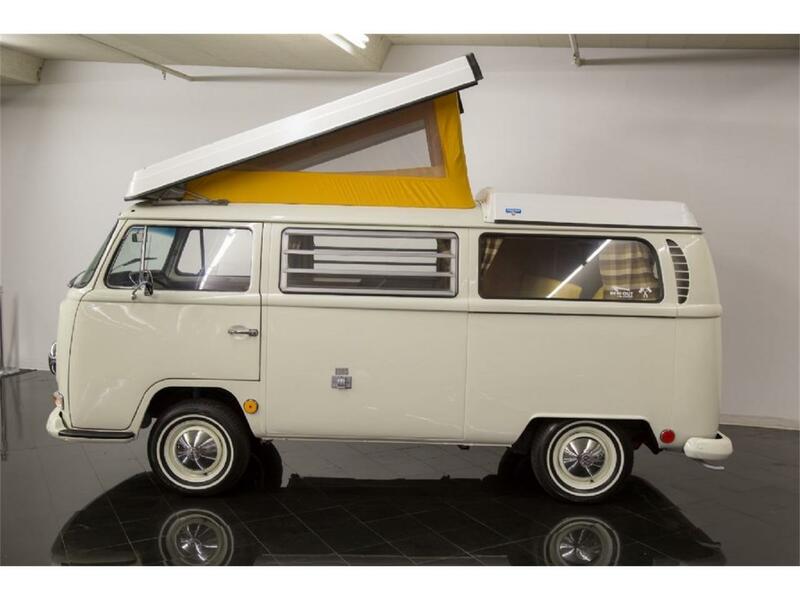 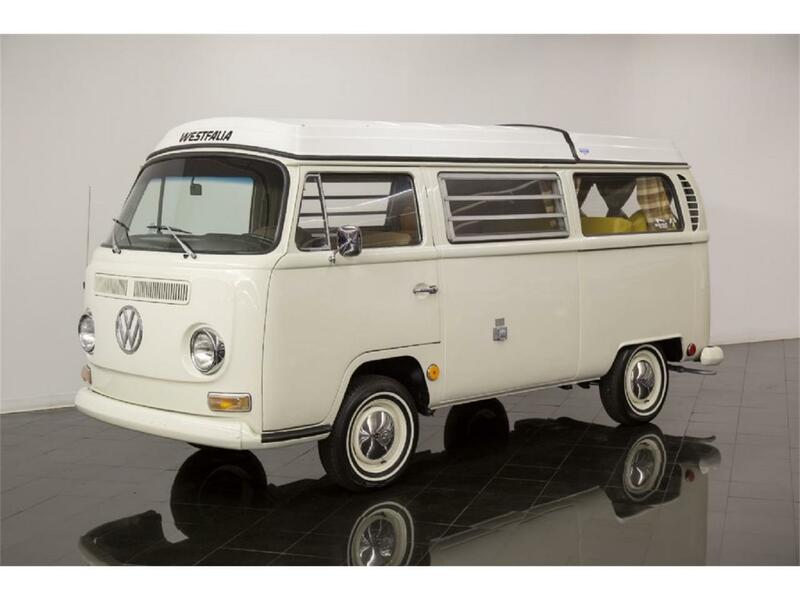 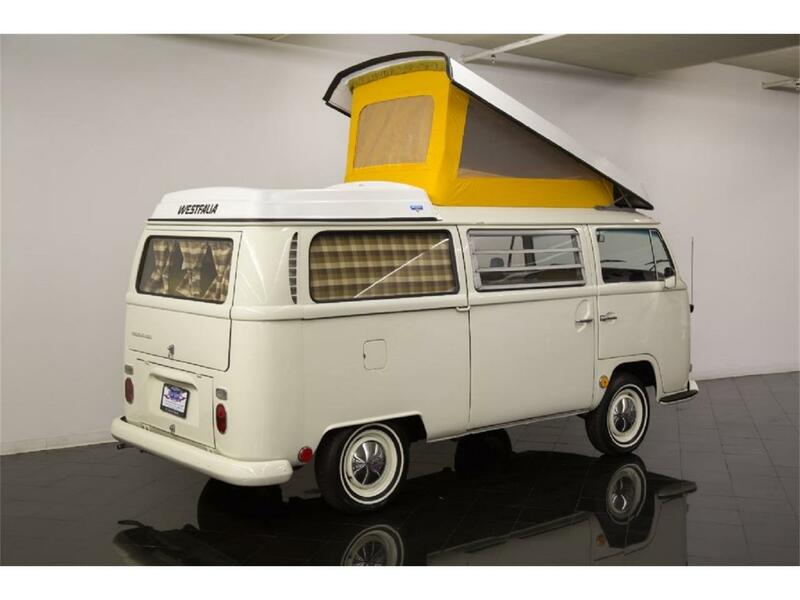 This wonderful 1968 Volkswagen Type II Westfalia Campmobile comes fully restored finished in its original color of Pearl White over fully refurnished interior consisting of Black vinyl front seats, and yellow vinyl rear upholstery! 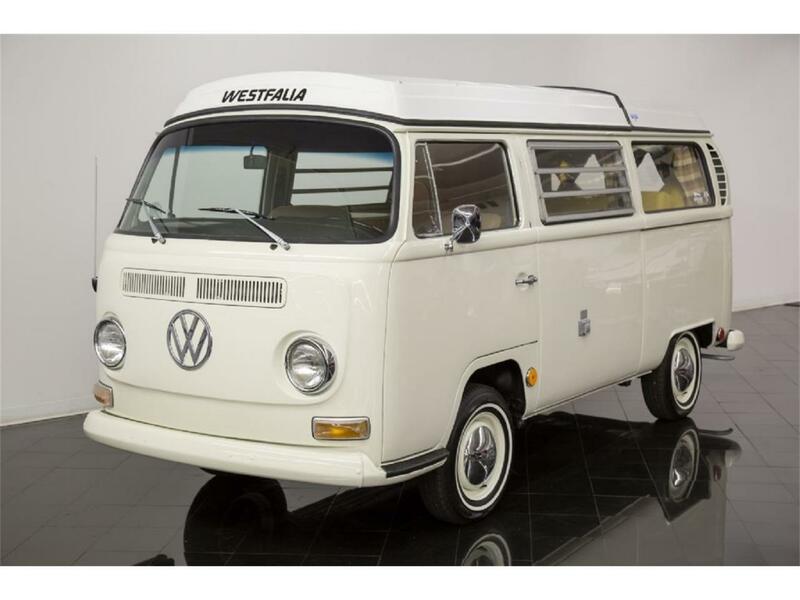 Boasting a fully rebuilt 1600cc engine, 4-speed transmission, all new front suspension, rebuilt steering box, all new brakes, new Hankook Optimo4 1 whitewall tires, and new shocks! 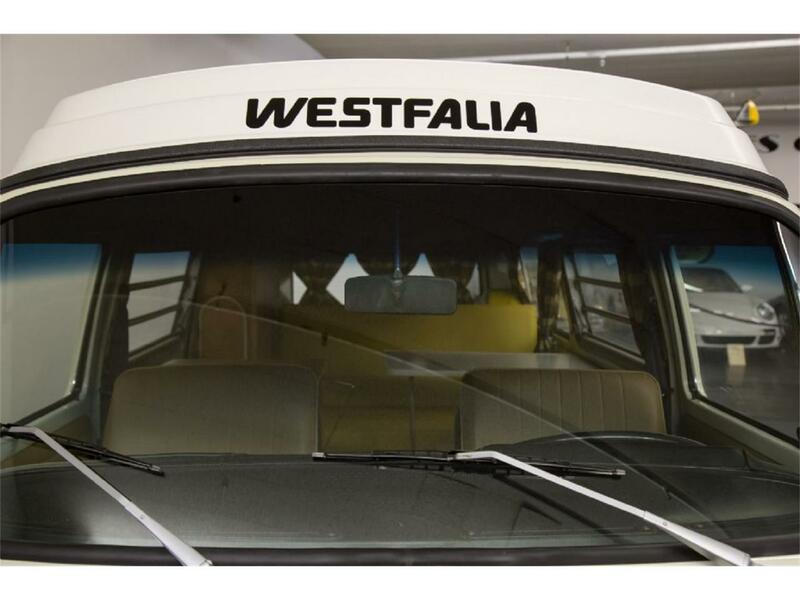 Hailing originally out of California, this super solid Westfalia Campmobile was treated to a bare metal restoration beginning with a fully media-blasted body. 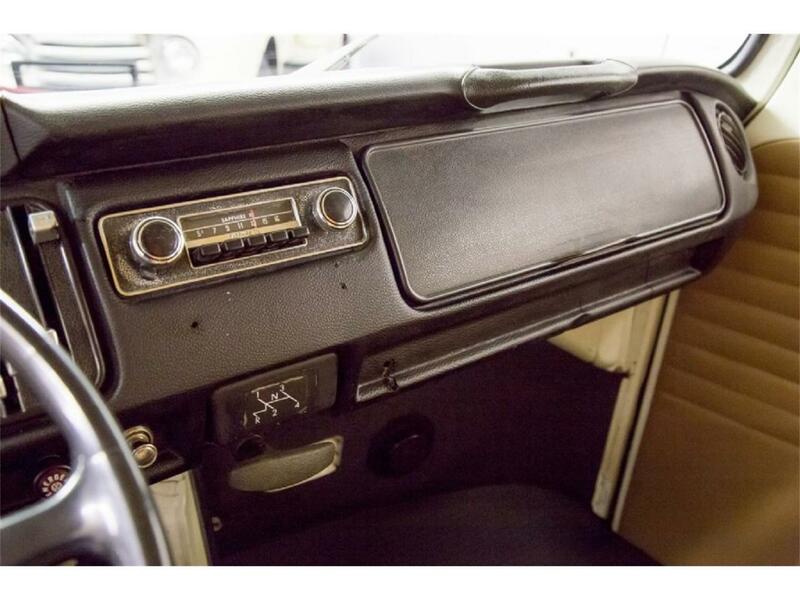 The entire interior, window glass, and driveline removed during the process. 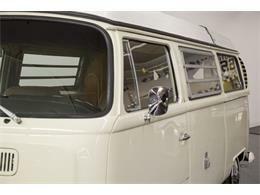 Reassembled with original window glass seals and all weather stripping replaced for new. 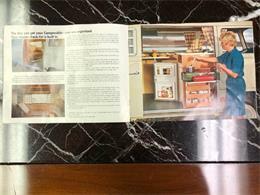 Inside, the original floor was replaced with a sharp laminated vinyl wood design, new birch plywood paneling and correct cabinets! 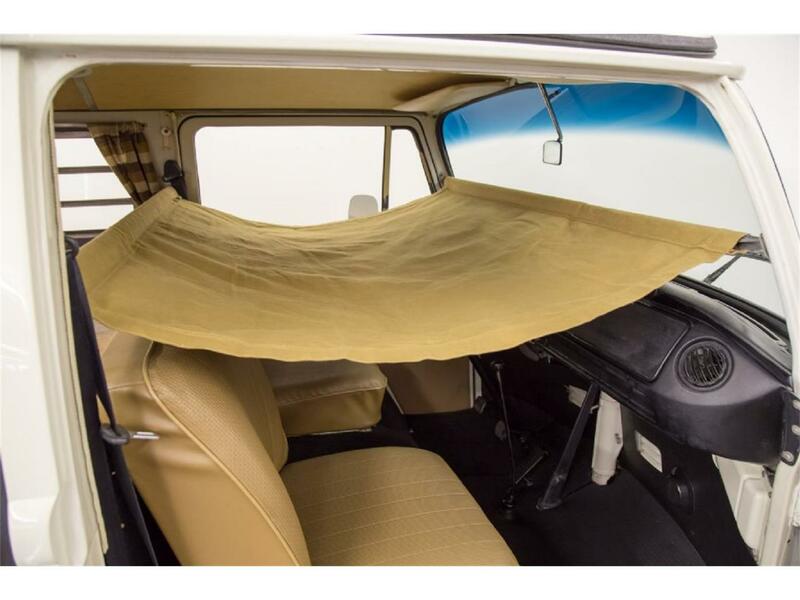 All attempts were made to replicate the original appearance including the seat color, new top tent, window curtains, and factory appointments! 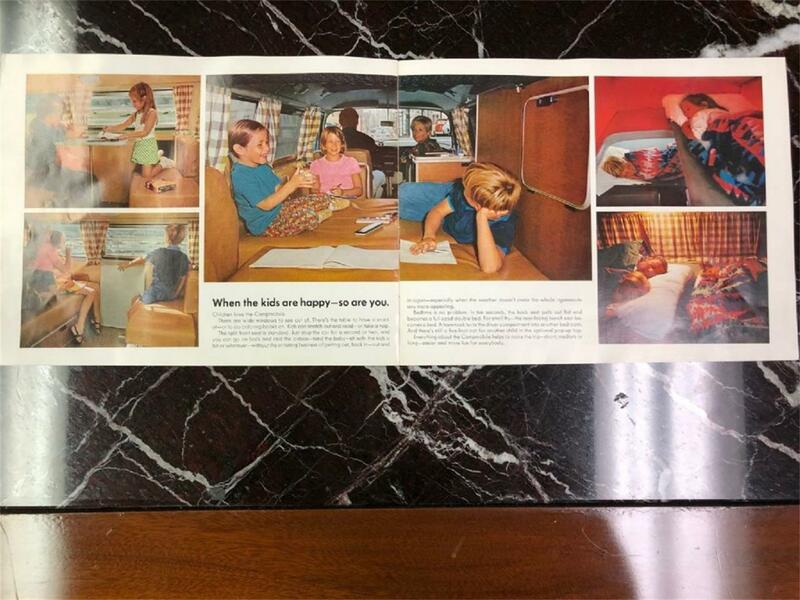 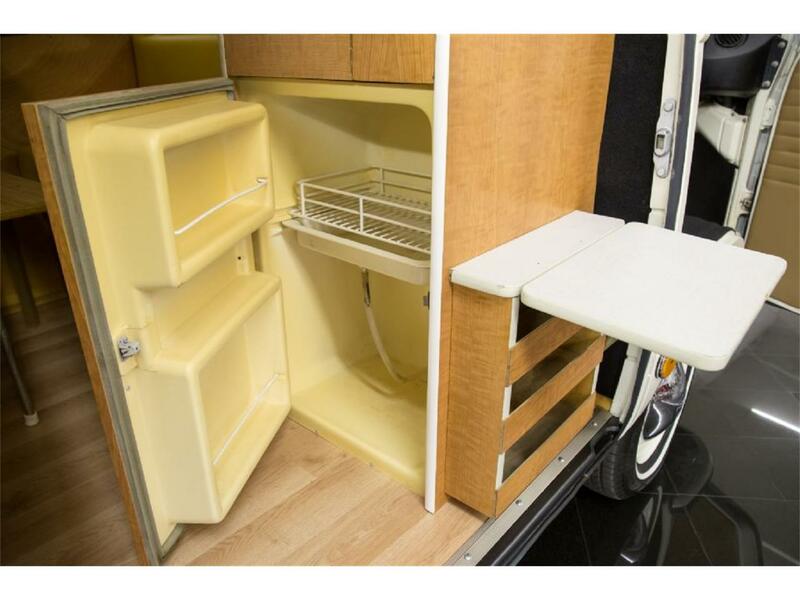 Options include pop-up fiberglass top with luggage rack, dual child sleeping cots, rear couch that easily folds out into a double bed, ice cabinet, fold-away dining table, collapsible countertop, louvered side window glass, 110-volt electrical connection, Sapphire AM radio with FM module by Audiovox, 3-point front seatbelts, glove box, storage cabinet, linen cabinet, and more! Its rather incredible to see the valuable use of space! 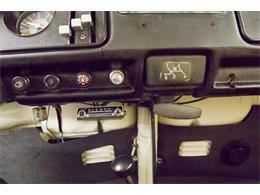 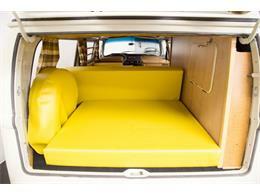 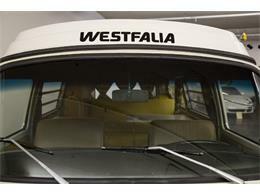 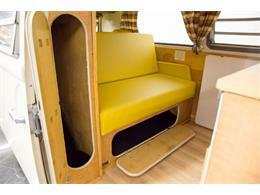 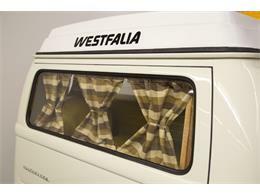 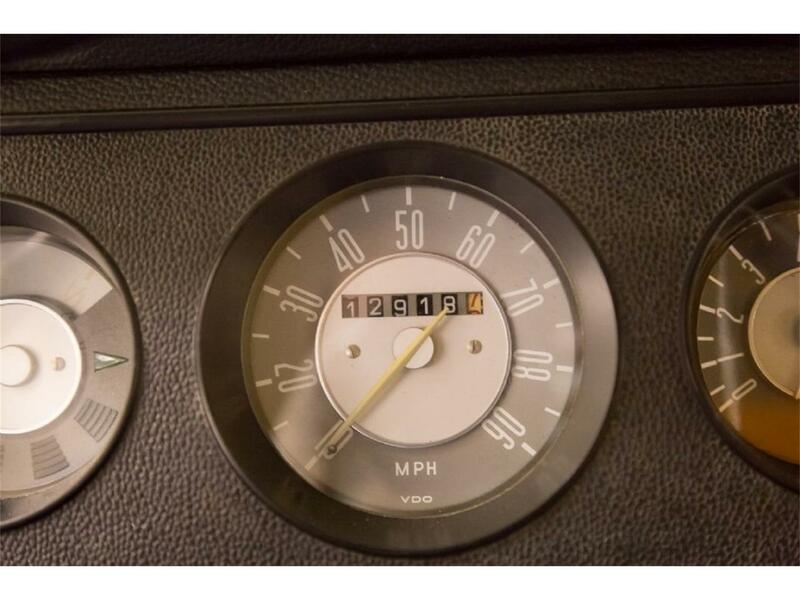 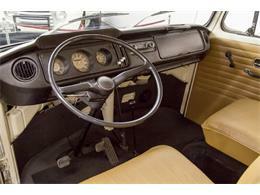 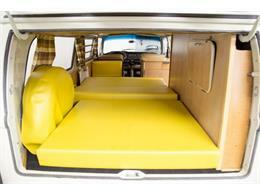 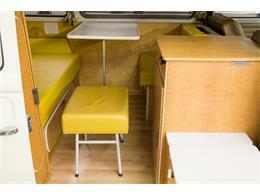 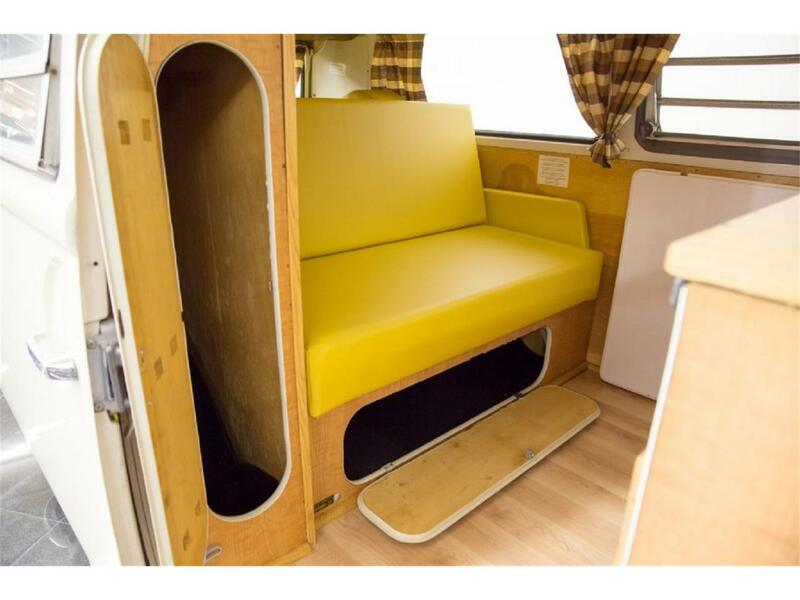 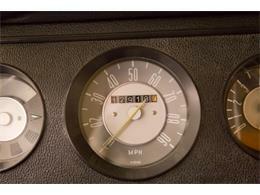 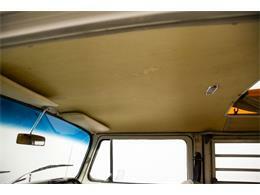 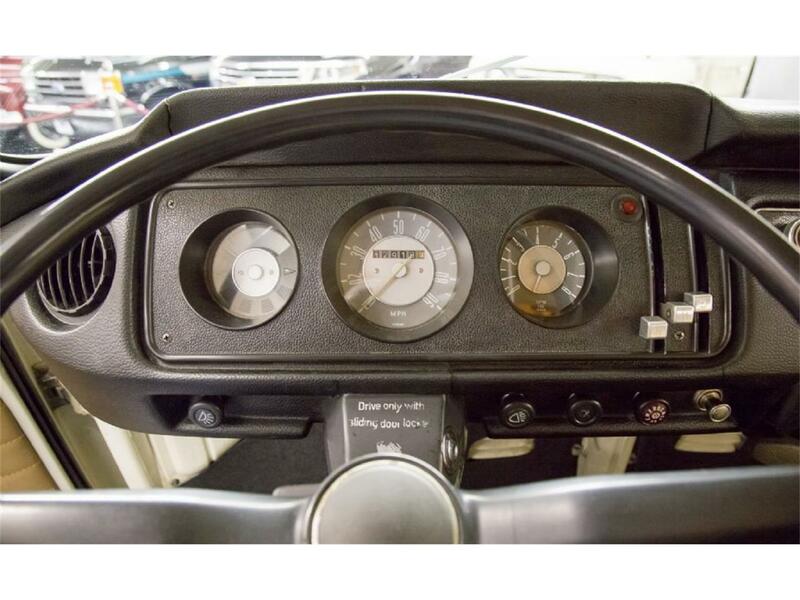 With approximately 500 miles on this fully restored Westfalia Campmobile, it is certainly ready to enjoy. 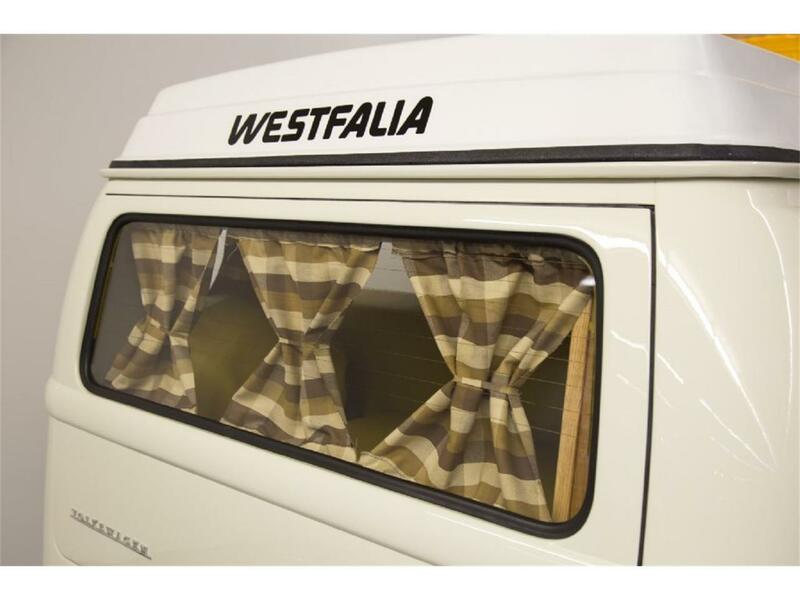 Available from Westfalia in only 2 colors, Pearl White or Velvet Green, we find this example to be the more desirable of the two options. 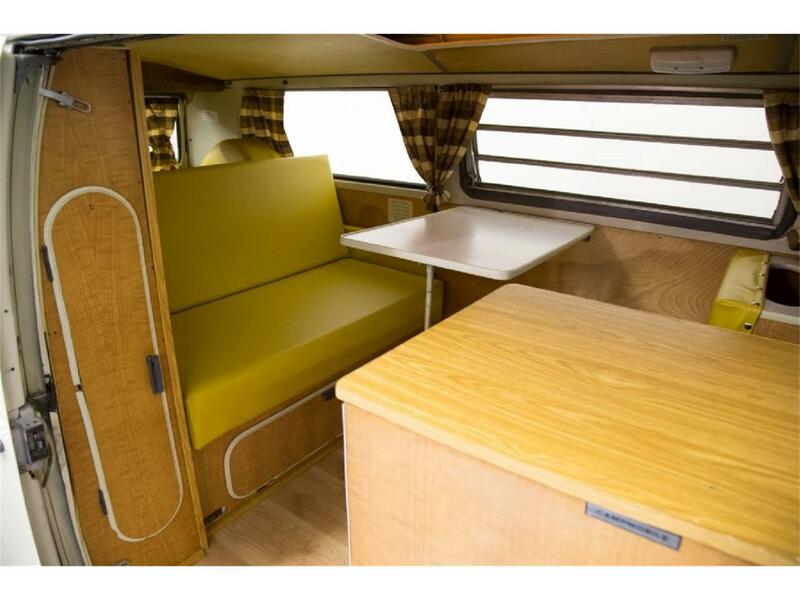 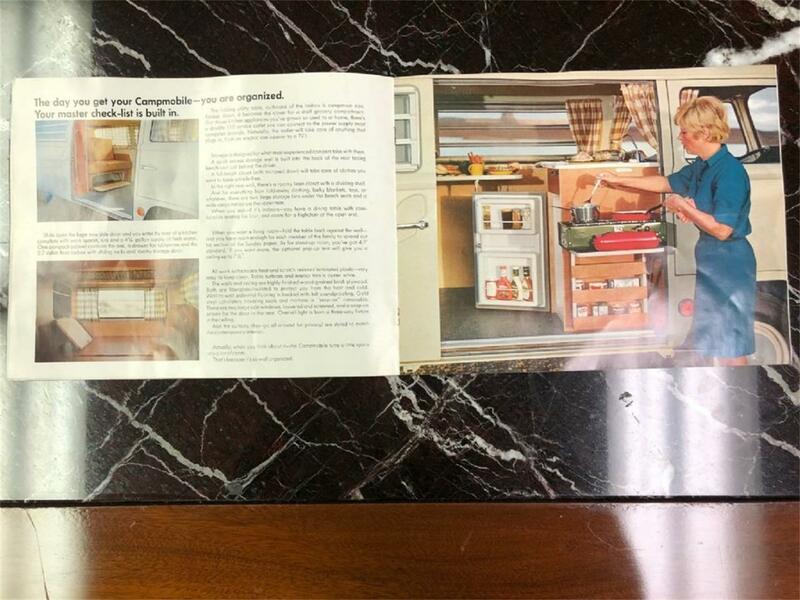 Included with this Campmobile is a factory brochure, folding chairs, extra cooler, battery powered TV, peace symbol light-up sign, folding chairs, picnic basket with plastic serving wear, and more! Act quickly campers! They are hard to find like this one! 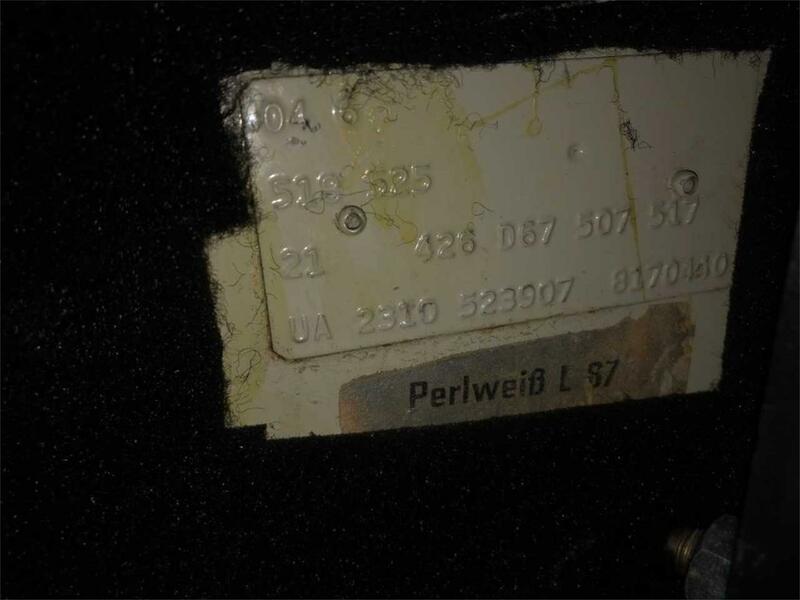 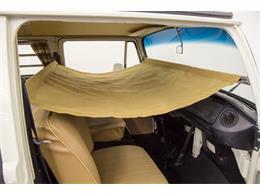 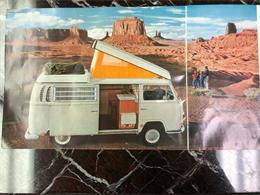 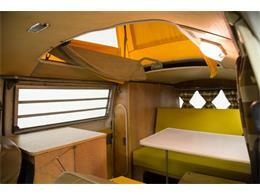 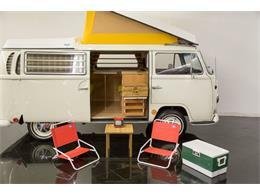 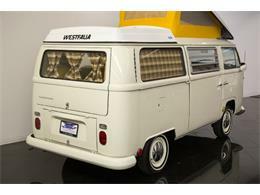 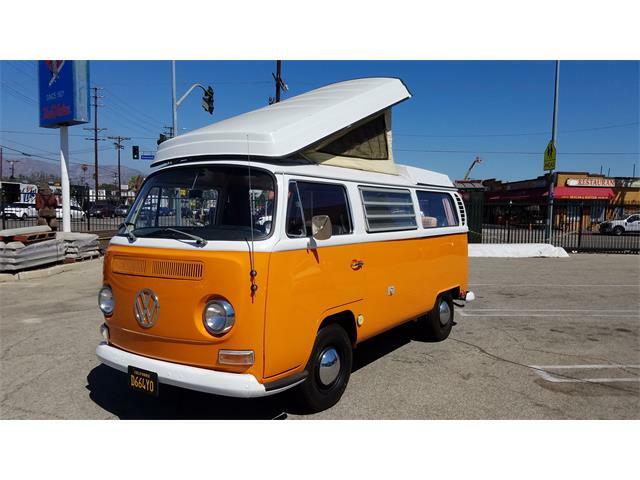 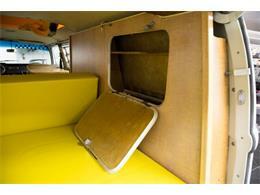 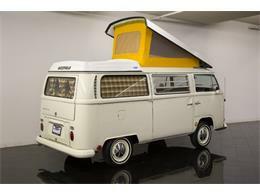 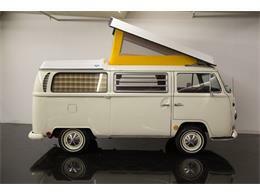 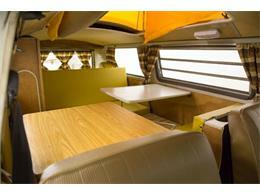 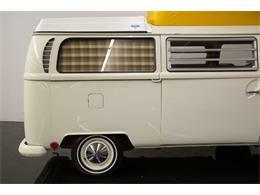 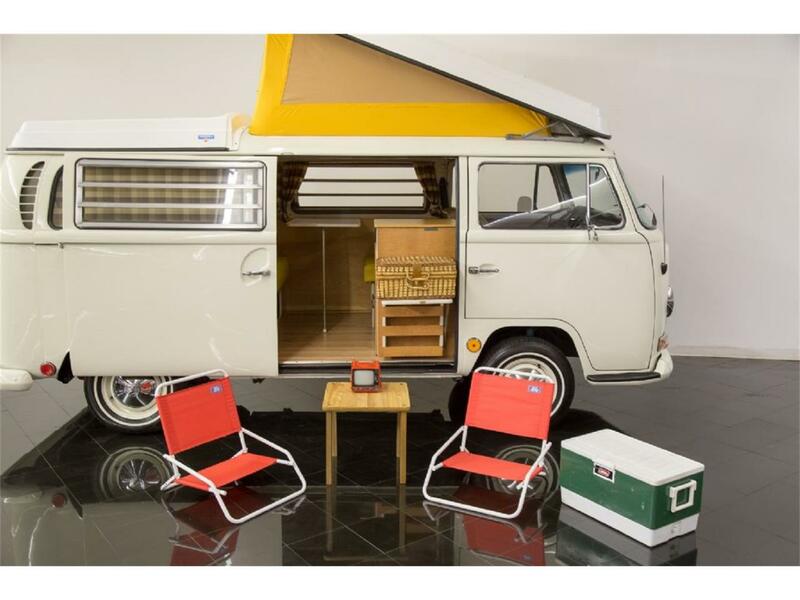 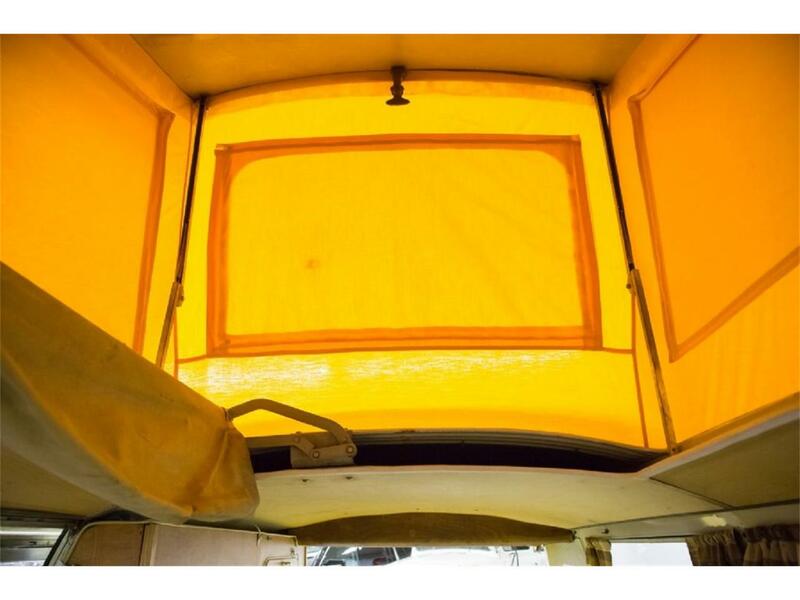 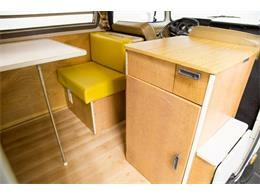 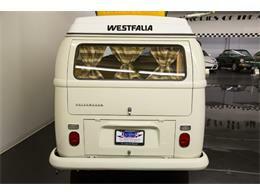 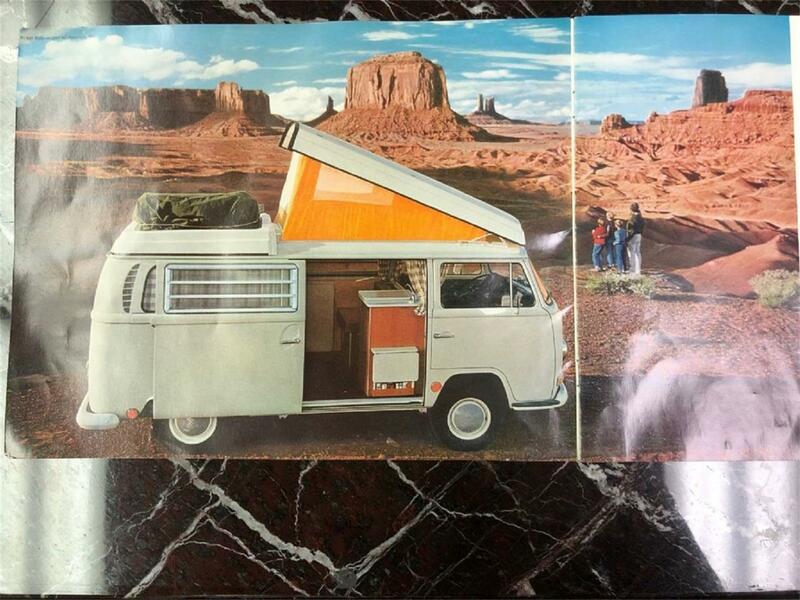 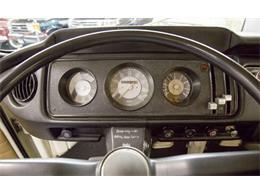 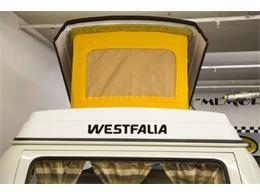 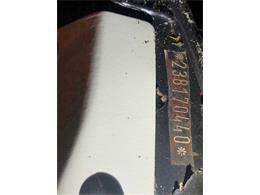 Hi, I'm interested in your 1968 Volkswagen Westfalia Camper listed for sale on ClassicCars.com for $42,900.00.